Grip Strength Training Dos and Don’ts | Robert Mitchell Jr. Okay, that’s an exaggeration. 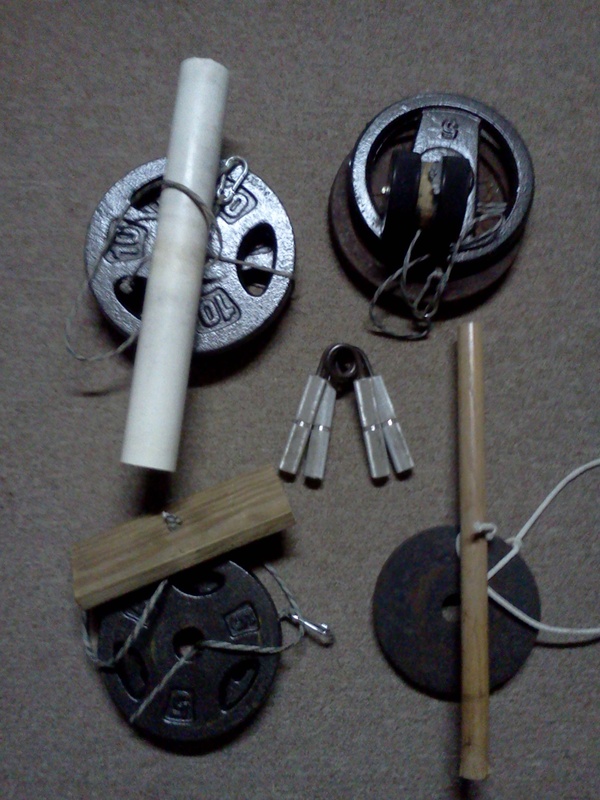 I’m no Master Po or Master Kan when it comes to grip strength. But I do know a thing or two, as evidenced by all of my prior posts. I’ve tried gripper regimens. I’ve tried rollers, yo-yos, and pinch block programs. I’ve tried them in unison and I’ve blown out my elbows. Now, after a two-and-a-half of years of very careful training and rehab work, I’m almost back to the level of grip strength I had back in 2010 when I was at my peak, right before the aforementioned episode of medial epicondylitis. Am I super strong? No. But I do have far above average grip strength (about 130 lbs of raw squeeze) and believe me when I say that I know where the bodies are buried. Here’s what I’ve learned so far. Train grip strength no more than 15 minutes three times per week. Under no circumstances put a grip tool in your car or at your desk and work it multiple times per day. Unless of course you hate your tendons and crave deep suffering. When training with grippers, restrict sessions to 50 reps per hand. If your routine takes only 10 minutes and you want to train 5 more minutes, do something else, like some broomstick rolling, towel Pull-ups, etc. Two or three times per week, on non-training days, complete a 15 minute grip health session. Stretch and use rubber bands. I like the Ironmind Expand-Your-Hand-Bands. Tendinitis is a stealth disorder, so watch out. If you experience pain in the tendons of your elbows, especially at or near the inside or outside elbow “points,” stop training and see your doctor. The early symptoms of tendinitis will be minor tendon paid at the beginning of a workout which quickly dissipates after a few minutes of exercise. If you don’t stop, within a couple of weeks you won’t be able to open a door knob without discomfort. Keep going after that point, and you will need serious rehab. And now, here’s my routine now that I’m healthy. Fun-time. If there is time left on the 15 minute clock, you may play with other grip tools, do Pull-ups, sledge hammer levers, Ninja Finger-walk, etc. until the timer beeps but no longer. Elbow straight: Straighten arm with elbow locked and palm down. Pull fingers down and back with other hand. Hold for 30 seconds. Switch and repeat for a total of 3 sets per side. Now straighten arm palm up. Pull fingers down and back. Hold for 30 seconds. Switch and repeat for a total of 3 sets (~3 mins). This entry was posted in Martial arts and tagged grip strength. Bookmark the permalink.